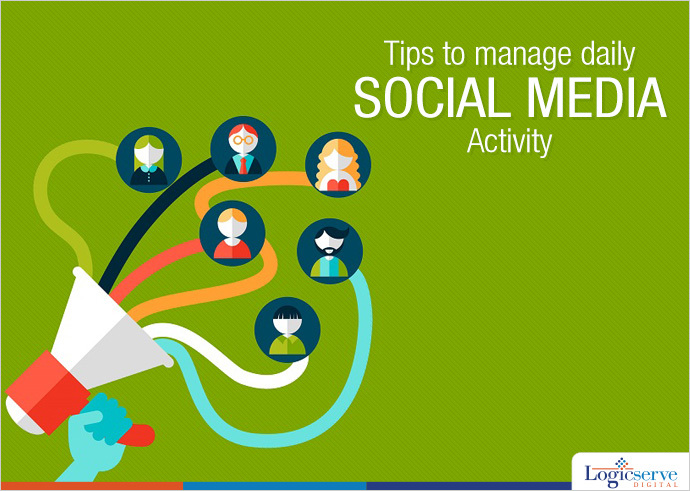 How to Manage Your Daily Social Media Activity? Are you looking to manage your social media activity so that you can make it more productive? Here is your chance to make it happen. We will take a look at the different methods and strategies which can be of help. When you are having an active social media profile, the important thing to keep in mind is to respond to your followers. Until and unless, you are interacting with people and responding to your followers, how are you going to build a strong pool of audience. When you want to manage your social media activity, you will have to devote time to stay in touch with your followers. For instance, when it comes to personal messages on Facebook or Twitter, you must make an honest effort to answer the same. There are a lot of different social networking sites and it is important to maintain a sound online presence. However, if you are active on all sites, it will entail great deal of time investment. This is the reason; you should try and focus on one site at a time. Try and shift the focus periodically. You must spend a little time on all profiles but divert your focus extensively to one of the platforms. After a week or so, pick another site to focus on. This constant rotation will help you build an active social presence on all the leading sites without compromising on your life as well. While you may have a schedule to fall back on, it is important to ensure that you need to be flexible enough to adjust the new updates. If you find out that you have some kind of breaking news or important update coming up, you may have to invest more time for these activities. Try and ensure that you can spend more time on such sites and come up with engaging ways and methods to post the update. The more interesting the update, the better will be the engagement which people will show. The main aim of social networking site is ultimately to drive the right kind of engagement and when you are looking to do so, capitalize on the fresh news which floods the market. There are social networking sites that allow you to schedule your posts. For instance, when you have a Facebook page for your firm, you can always choose to schedule the posts. This ensures that you can adjust your activity with the schedule you have. On days you have ample free time, you can schedule the posts the way you want and they will be auto-posted at the time you choose. These are some of the different ways by which you can manage your social media activity and ensure that you stay at the top of it. Regardless of the fact that you have a personal or professional image, it is pretty important to have the right kind of social media activities.